February 11 is Stress Awareness Day. As a family caregiver you are at increased risk of suffering from stress throughout the course of your care experience with your aging parent. In fact, studies have shown that adult children who are in the role of caring for their aging parents are at greatly increased risk of developing stress and the negative consequences associated with it. Understanding this condition and how it can impact you and the care that you give to your parent can help you to prepare for this possibility and to develop an approach that will reduce the risk that you will suffer from stress or help you to manage it more effectively if it does arise. Stress can lead to burnout, which is the point at which a caregiver no longer has the compulsion or drive to fulfill care needs or take care of themselves or others. This can be very dangerous for the senior and for the caregiver. 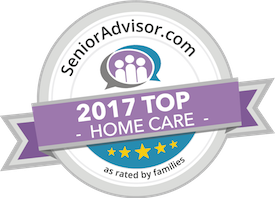 If you are suffering from caregiver stress or you want to put measures into place to avoid this from happening in the course of your care journey with your elderly parent, starting home care may be the ideal option for you and your aging loved one. Caregiver stress can be detrimental to your care efforts and to your personal well-being, but the highly personalized services of an in-home senior care services provider can ensure that your aging parent gets all of the support, assistance, and care that they need while giving you the opportunity to take a step back, get the rest you need, and focus your time and energy more effectively and efficiently on all of the obligations of your life. This ensures that your parent lives the quality of life that they desire and deserve, that your relationship stays strong, and that you can still maintain your own health and well-being now and into the future. Have questions about caregiver services in Lahaina, HI? Contact the caring staff at All Care Hawaii today. Call Oahu (808) 206-8409 or Maui (808) 664-3853. Call us 24 hours a day, 7 days a week!